My desperate attempt to convince myself that the nuclear deal with Iran is a good one is–I am sorry to report–in the process of failing miserably. I wish that I could report otherwise, but alas, those accursed facts keep getting in the way, and keep me from liking this deal. Now that the President Barack Obama and his administration are selling the Iran nuclear deal, they say U.S. negotiators held a firm line against Iran’s last-minute push for even more concessions. But if you compare the deal today with what was described in a White House fact sheet on the “framework” reached in April it shows that the West ceded a lot of ground to Iran in those final days in Vienna. In a few cases, the White House line is partially true. Iran’s leaders had publicly insisted that they would forbid international inspectors any access to military sites, and its negotiators tried to get an immediate lifting of a U.N. arms embargo on conventional weapons. In both cases, Iran compromised for the final deal. But more often it was the West that backed down, and in more significant ways. For example, in April the White House touted that, “Iran has committed indefinitely to not conduct reprocessing or reprocessing research and development on spent nuclear fuel.” Yet the new pact will allow Iran to reprocess such fuel after 15 years. The final agreement says Iran can begin production of efficient advanced centrifuges to enrich uranium in eight years. The April fact sheet strongly implied research into advanced centrifuges would be delayed for 10 years. Senior administration officials in April said the nuclear agreement would allow inspectors “anytime, anywhere” access to suspected nuclear sites, but the new deal will give Iran 24 days’ notice of any inspections, as well as a say in whether inspectors will be able to visit certain sites at all. The U.S. also agreed in the final days of talks to lift a U.N. conventional weapons embargo on Iran in five years, and to end sanctions on Iran’s ballistic missile program in eight, both issues on which the framework deal is silent. More concerns arise from the “road map” that the International Atomic Energy Agency released Tuesday, on how it will resolve longstanding questions about the history of Iran’s efforts to build a nuclear weapon. First, the description of how it plans to do so is dangerously vague. Equally important: Until May, the U.S. position was that Iran had to come clean about that history before there would be any sanctions relief. Now that issue has been shunted aside in terms of lifting sanctions. This hardly amounts to a display of strength and fortitude on the part of American negotiators. Combine the weakness shown at the negotiating table with fact that the “snapback sanctions” regime that will supposedly deter Iranian cheating is hardly robust, and the fact that President Obama undermined the American negotiating position by essentially ruling out a military strike against Iran, and one can readily understand why the Iranians got such a good deal. Note that I don’t think a military strike against Iran’s nuclear facilities would have done all that much to slow down the Iranian nuclear program. But the Iranians certainly seemed concerned about an American nuclear strike, and to give up that card for nothing in return was foolish on the part of the Obama administration. More analysis to worry us–Iran may not actually violate the deal, because for Iran, the deal is marvelous. As Aaron David Miller writes, the Iranian regime gets lots of money that it really needs, an imprimatur of legitimacy for its nuclear program, a fortified political position at home, and the added bonus of seeing American allies upset and worried. 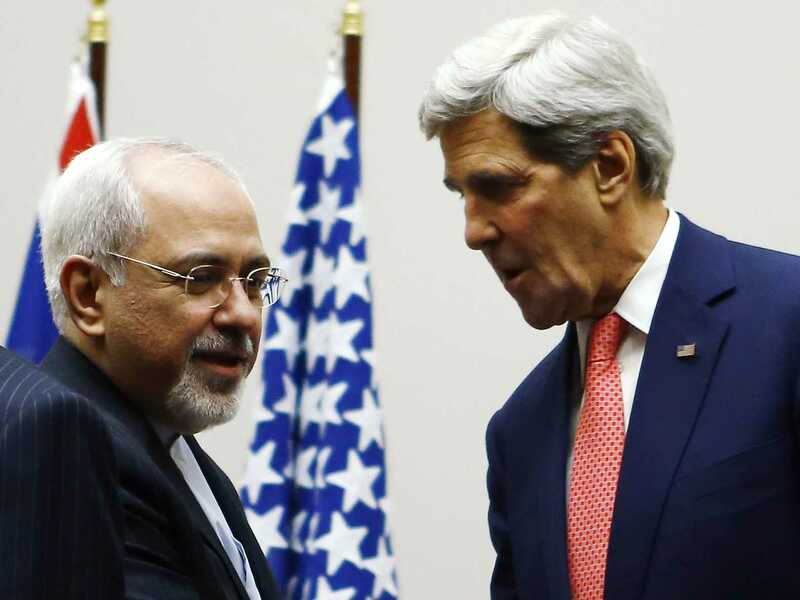 From the standpoint of the Iranian regime, there is little to no downside to this deal. When Secretary of State John Kerry testifies in the coming days before Congress about the deal he just negotiated with Iran, he will have some explaining to do. Some Congressional leaders were under the impression that while Kerry was at the talks in Vienna, he was pressing Iran to allow “anytime, anywhere” access for U.N. inspectors to examine sites suspected of nuclear activity. Those words are likely to haunt Kerry this week when he goes before Congress. This is not how others in the administration described the deal in April. Other senior officials said the U.S. was pressing for such access, known as snap inspections, that wouldn’t give Iran the time to hide suspicious activity. More important, if Kerry knew there would be no “anytime, anywhere” inspections, why did he let so many members of Congress believe this was a possibility while he was negotiating the deal? Under the terms of the final deal, Iran will have at least 24 days before it would be compelled to allow an inspector physical access to a suspected site, a standard that falls short of what most Democrats and Republicans have said would be necessary for a good deal. Having been outmaneuvered at the negotiating table, Obama administration officials from the president on down are now trying to rewrite history in order to pretend that they never made all of those promises that they clearly did make. Our national leadership is incompetent, dishonest, and apparently, fully convinced that we will fall for whatever nonsense it peddles to us. The Obama administration’s claim that the Iran nuclear accord provides for airtight verification procedures is coming under challenge from nuclear experts with long experience in monitoring Tehran’s program. Energy Secretary Ernest J. Moniz has insisted that Iran would not be able to hide traces of any illicit nuclear work before inspectors gain access to a suspicious site. But several experts, including a former high-ranking official at the International Atomic Energy Agency, said a provision that gives Iran up to 24 days to grant access to inspectors might enable it to escape detection. So, it would appear that notwithstanding my best efforts to like the Iranian nuclear deal, there really is rather little about it to like. I am always open to receiving new evidence that changes my mind, but at some point, it may well be time to call a bad deal just that.